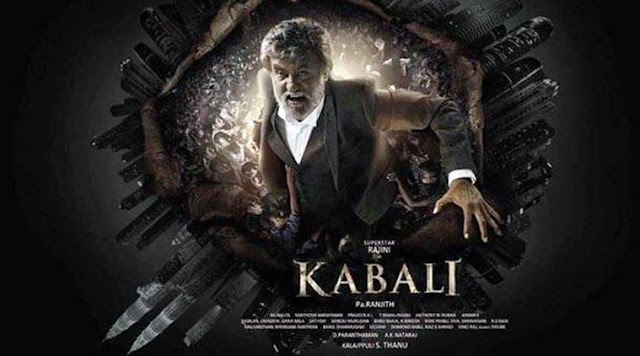 start learning something new here: What is the meaning of the word 'Kabali' ? What is the meaning of the word 'Kabali' ? Wondering what is the meaning of the super hit tamil movie name 'Kabali' staring Rajnikanth.? In Tamil film industry, especially in big-hero movies, it is an unwritten rule that the film’s name is the shortened version of the lead role played by the hero. Rajinikanth has been following this for a long time. At least since he was crowned a ‘super star’, almost all his movies were named after the protagonist’s name. Sample this: in the 1999 blockbuster Padayappa, he played a self-made man, Aaru Padayappan. In the 1994 romantic comedy Veera, he played Muthuveerappan a singer-song writer from a village who wants to enter the music industry. But this time around, Kabali, is not just a shortened version of the character he plays. It has a deep-rooted history which goes back to the 60s and 70s of Tamil cinema. Right from the black and white movies, the name Kabali has been used for the sidekicks to the villains. But not often the anti-hero is named Kabali. Reason? Who cares! Maybe the writers just found it easy and didn’t get time to think of a name for characters which has no bearing in the plot and made it up during shooting. Right from the days of Nambiyaar, a notorious villain who plotted the downfall of MG Ramachandran (the former Tamil Nadu chief minister who was a sensation onscreen) in hundreds of films, to the new-age villains in modern movies have had side kicks named Kabali. All rajni fans like this page on Facebook..